Season 2 of “Jessica Jones” spends its second season dealing with the origins of Jessica’s superpowers, but it also sets up the beginnings of another superhero: Hellcat. In the Marvel comics, Hellcat’s alter-ego is Patsy Walker. 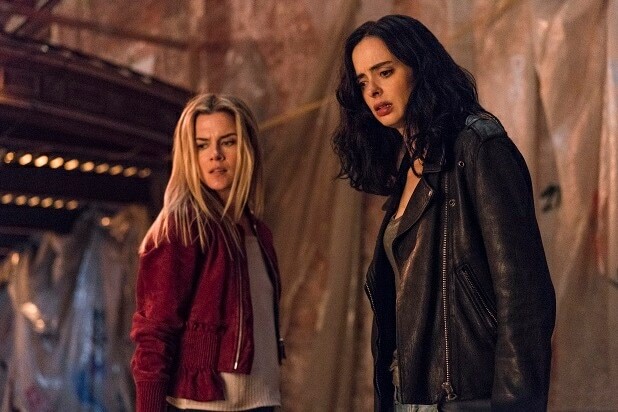 “Jessica Jones” fans know Patsy as Trish Walker (Rachael Taylor), who is Jessica’s radio journalist best friend and adopted sister. Trish was formerly a child star who went by the name Patsy, but despite her fame, she eventually dropped her music and acting career. In “Jessica Jones,” Trish has always been a little jealous of the power Jessica (Krysten Ritter) gained when she was a child. Even though she was famous, Trish always wanted to do something more. That drive leads her to her career in journalism and also pushes her in Season 2 to use the IGH Combat Enhancer drugs that she gets from Will Simpson (Wil Traval), another former test subject. By the end of Season 2, Trish convinces Dr. Karl Malus (Callum Keith Rennie), the head of IGH’s gene editing program, to do the procedure on her. Jessica interrupts it, trying to save Trish from the side-effects afflicting her mother, Alisa Jones (Janet McTeer). It doesn’t seem as though the interrupted procedure worked, but at the end of Season 2, we see that Trish seems to have enhanced reflexes and agility — which suggests she might have some powers after all. In the comics, Patsy Walker’s Hellcat is something of a standard superhero. She grew up idolizing costumed heroes because her mother was a comic book writer, and as a young adult, she asked the Beast (best known as a member of the X-Men) to help her become one. She later tagged along on a mission while the Beast was a member of the Avengers and borrowed a costume worn by the superhero known as the Cat. Patsy was naturally athletic, but she thought the costume gave her superpowers — though it might have been more the power of suggestion than anything the suit actually did. With the costume, Patsy became Hellcat in the comics. She looked to join the Avengers, but later wound up joining the Defenders instead. Also Read: 'Jessica Jones' Fact Check: Are All Those Octopus Facts True? The tease suggests that Trish finally has the superpowers she’s always wanted, although it’s not clear exactly what they are yet. 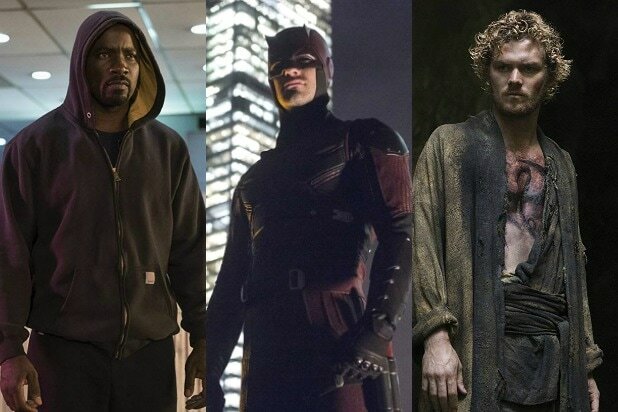 And since we’ve already seen Jessica team up with Daredevil, Luke Cage and Iron Fist to form the Defenders, it seems fully possible that Trish as Hellcat could wind up working with them, as well — provided she and Jessica patch up their relationship sometime in the future.